Wedbush Securities analyst Michael Pachter has said it is very likely that Sony will cut the price of PlayStation 3 (PS3) consoles as it unveils the PS4 in New York next week. Pachter told GamesIndustry International that a cut was likely by February 21, the day after the Sony PS4 event. He predicts a cut to $199 for the console, and that Microsoft will respond with price cuts for the Xbox 360 console before E3. Sony may decide to cut the PS3 price to keep gamers interested in buying a new PS3 console, even as it starts to court them with the PlayStation 4 (PS4) before it starts to launch - expected this holiday season. 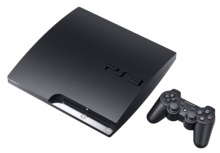 During Black Friday last year, PS3 bundles sold for $199, and now typically sell for $100 more than that.